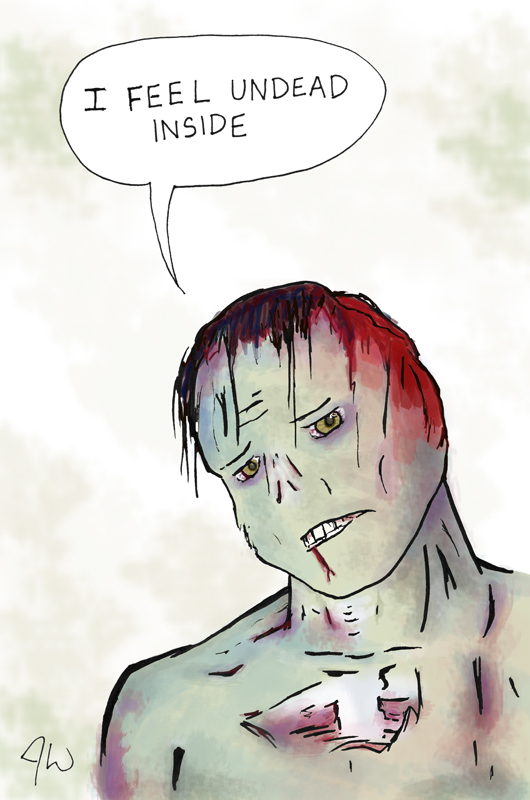 I’m not sure what I’m more tired of: zombies or hipster jokes. Slap one of these two themes on anything and you have people lining up and taking an interest in your lame product (this cartoon included). 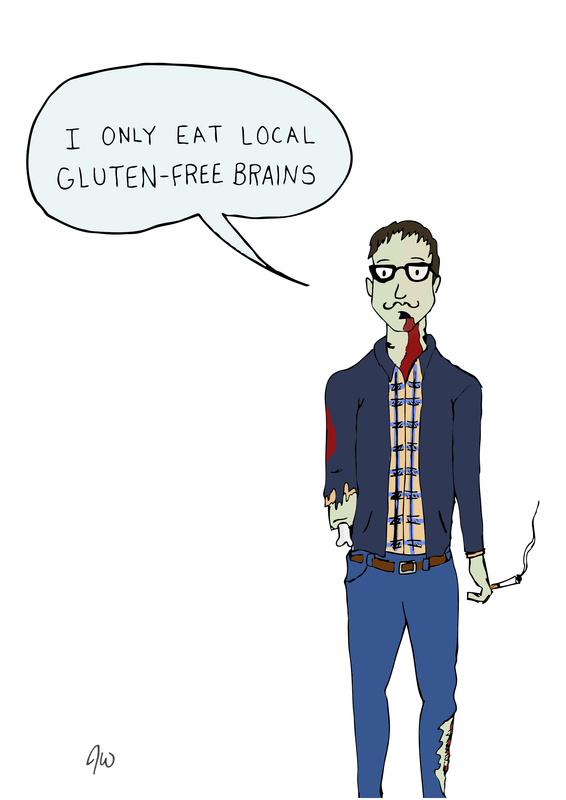 To be fair, I think hipsters would thrive in the zombie apocalypse. Many of them would enjoy the low tech life style and take pleasure in having to grow their own food during the apocalypse. However many will parish early on because of their ability to run away from the undead due to their lifestyle of smoking American Spirits and the simple fact that Tom’s aren’t the most ideal running shoe.